Boldly and dramatically barred flowers are highly coveted by hobbyists these days ! So we’re re-introducing Phal. 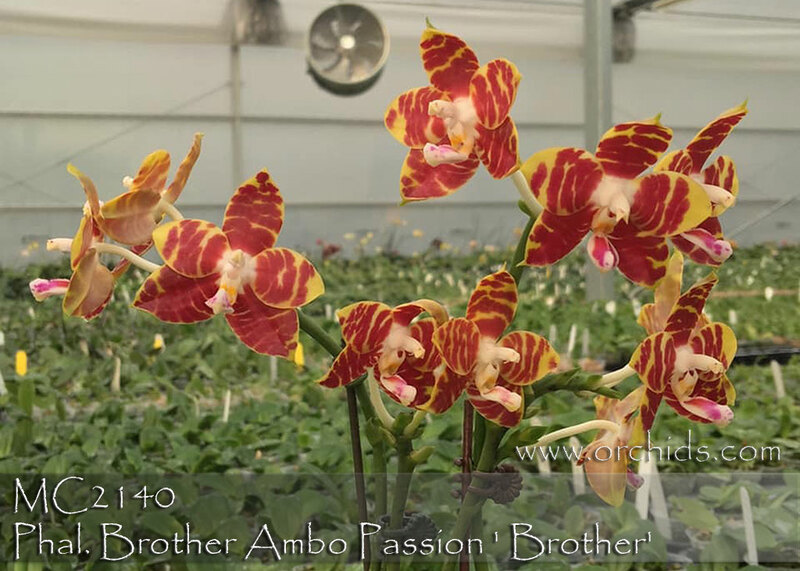 Brother Ambo Passion ‘Brother’ as a great example of “what is old is new again”. 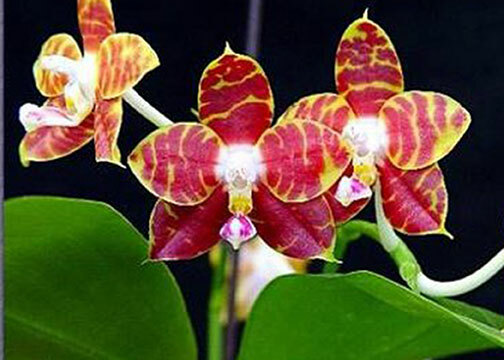 This fragrant clone will stand up to today’s breeding standards for crisply barred waxy hybrids and still remains a very fine clone for this direction in hybridizing. A husky grower for this type of breeding, it’s especially valuable for future breeding of reds, yellows and harlequins. Highly Recommended !